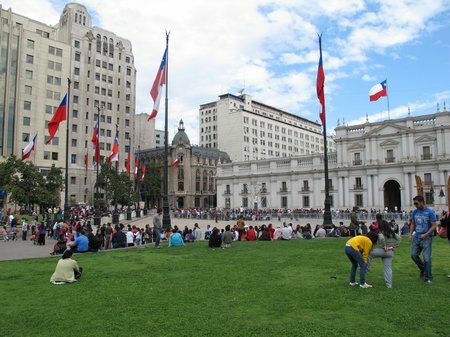 “Does Chile have a space program?” I asked my husband as we rounded the corner into the park-like area behind La Moneda, the presidential palace in central Santiago. He fixed me with one of his “Are you really that stupid, woman?” stares. This entry was posted in Chile, International Escapades and tagged Chile, Chilean Miners, Fenix, La Moneda, Pinochet, roadschooling, Santiago on November 28, 2010 by wandermom.